Dr. Ben Carson stepped into the national spotlight in February, when, speaking at the National Prayer Breakfast to an audience that included President Barack Obama, he openly criticized the president's approach to health care and his overall management of the nation's economy. Carson, who is director of pediatric neurosurgery at Johns Hopkins Hospital, is a hero to many. His rise from a Detroit ghetto to a life of accomplishment and distinction is a story of American ideals on steroids. Those ideals say that America is about merit, not circumstance. Your life, your achievements are the result of what you do and how you live, not where you came from. The hard history of blacks in America has always made it a challenge for them to accept this credo. Many still carry a sense that those ideals may be true for whites, but they never were true, and still aren't true, for blacks. So in this context, Carson's story is particularly important. It's making liberals nervous, and the attacks on him are starting. He's now pulled out, under pressure, from giving the commencement address at Johns Hopkins University because some are unhappy with how, in an interview on Fox, he expressed his views regarding the importance of maintaining the integrity of traditional marriage. Blacks have known about Carson for years. I gave his book, "Gifted Hands," to my daughters to read when they were little girls. A highly acclaimed made-for-TV movie about his life aired in 2009, with Carson played by Oscar-winning actor Cuba Gooding Jr. But this story of personal responsibility, hard work and traditional values is becoming a political story. It is becoming political because Ben Carson's American dream story, according to the liberal script, is not supposed to work for blacks. Carson is the biggest threat to liberals since Bill Cosby got out of line at an NAACP banquet in 2004 in Washington, D.C.
Cosby had the temerity to deliver tough, critical talk about what too many blacks are doing with the freedom that civil rights activists of the 1960's fought to achieve. He contrasted the Sixties generation with the new generation of black youths sitting in jail: "These are not political criminals. These are people going around stealing Coca-Cola. People getting shot in the back of the head over a piece of pound cake." Cosby attributed the chaos to a breakdown in values, family and personal responsibility. It's the last thing the NAACP crowd wanted to hear that night and Cosby paid a price. He was vilified and marginalized until he backed off. Liberals never take on what black conservatives actually say because they can't. So the attacks become personal. Trillions of tax dollars have been poured into black communities over the last half-century, producing virtually no change in the incidence of black poverty. Yet, Carson, through diligence and traditional values, achieved on his own what those trillions of dollars of government programs were supposed to deliver. Liberal black writer Ta-Nehisi Coates put the cards on the table in an article about Cosby that appeared in The Atlantic magazine in 2008. The typical black conservative votes for Democrats, he notes, "not out of love for abortion rights ... but because he feels.... that the modern-day GOP draws on support of people who hate him." Stoking paranoia about racism has always been the strategy of liberals to fend off the political threat of conservative values that so many church-going blacks embrace. Predictably, Coates has produced a New York Times column on Carson, reducing this great man to the usual caricature of a black empty suit manipulated by white conservatives. 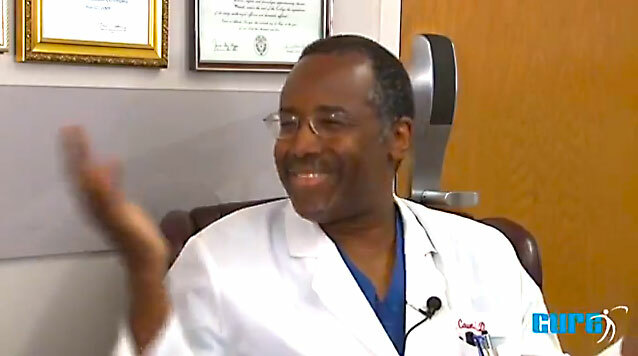 Ben Carson is an accomplished and wealthy man. Americans, certainly black Americans, need him in public life more than he needs to be in public life. Let's hope the left wing and the haters of traditional morality don't succeed in making him conclude it's not worth it.